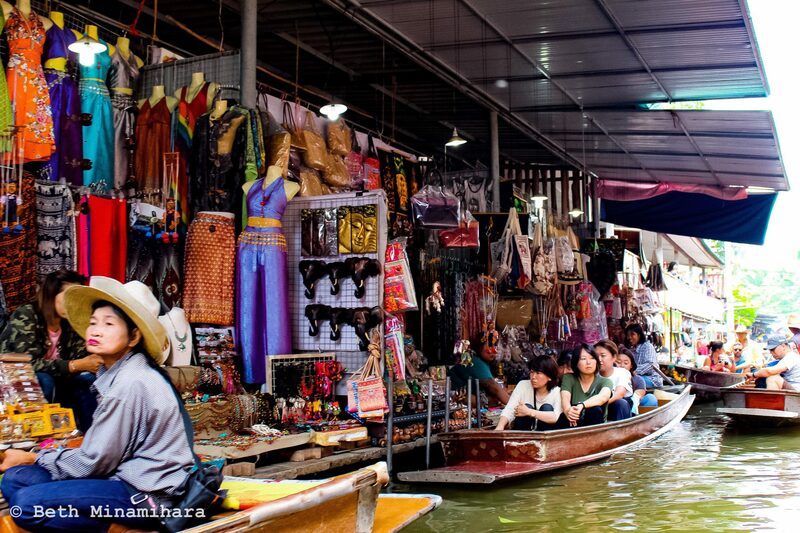 Considered as one of the main tourist attractions in Thailand is the floating markets. The bread and butter of this country comes from its main source which is the river. 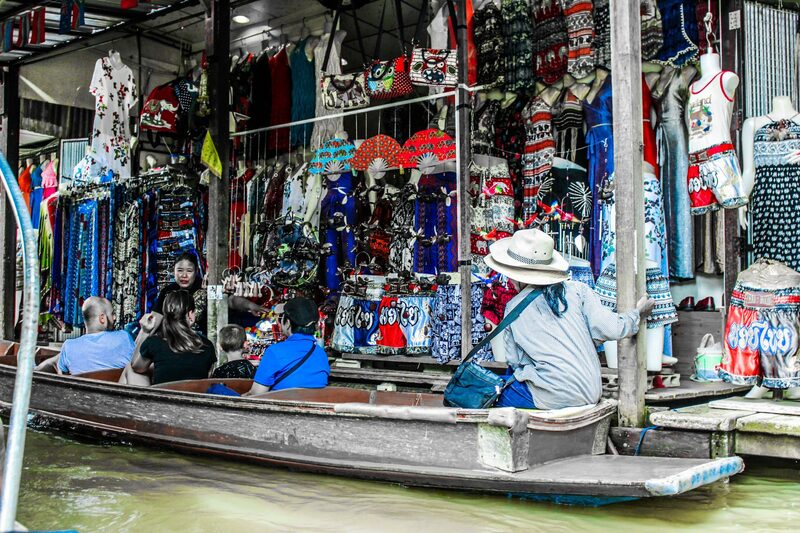 That being said, don’t be surprised if you can find many where you can hop on to the very colorful boats and glide through the waterway. 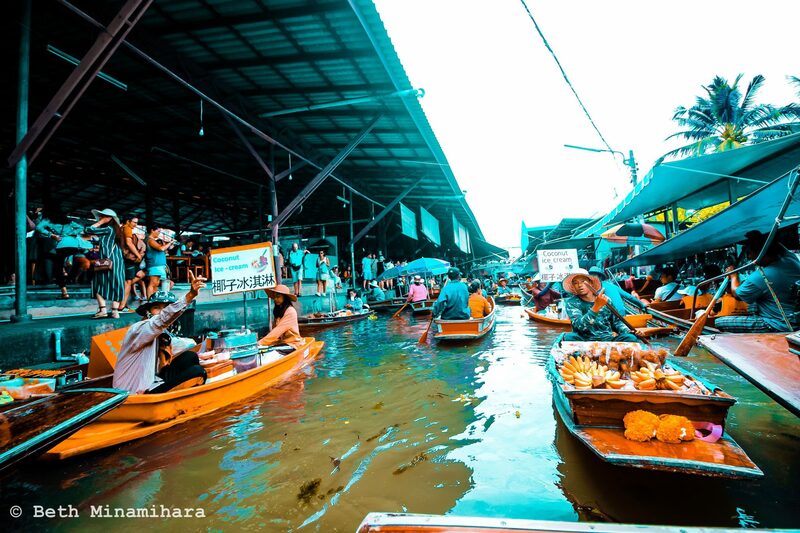 Experience the traditional way of shopping in Thailand in the largest floating market found in the downtown of Bangkok. 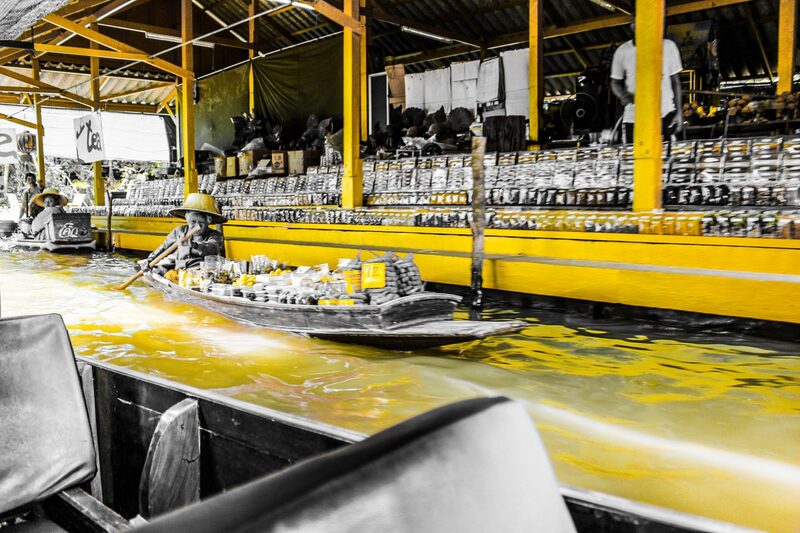 The most famous, largest, the busiest and one of the oldest floating markets in Thailand. 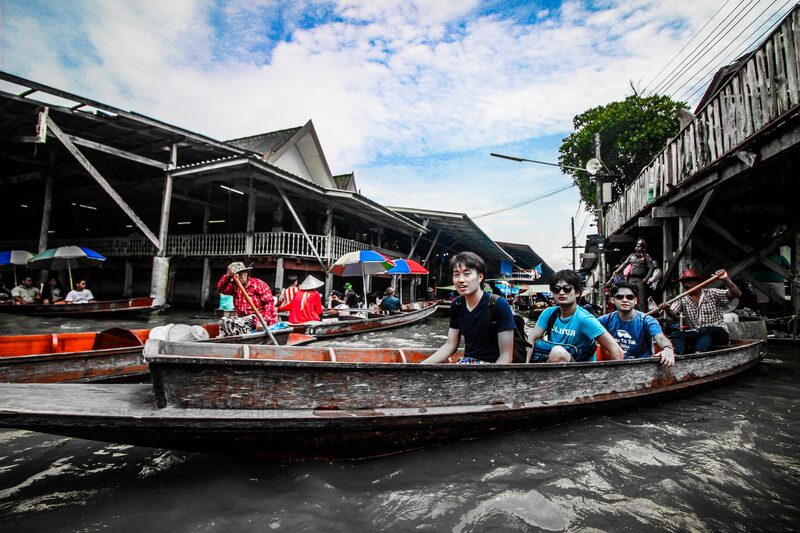 1 and a half hour ride from Bangkok. I know shopping is fun. I for one enjoy shopping. I’m not a hypocrite who says I dislike shopping. 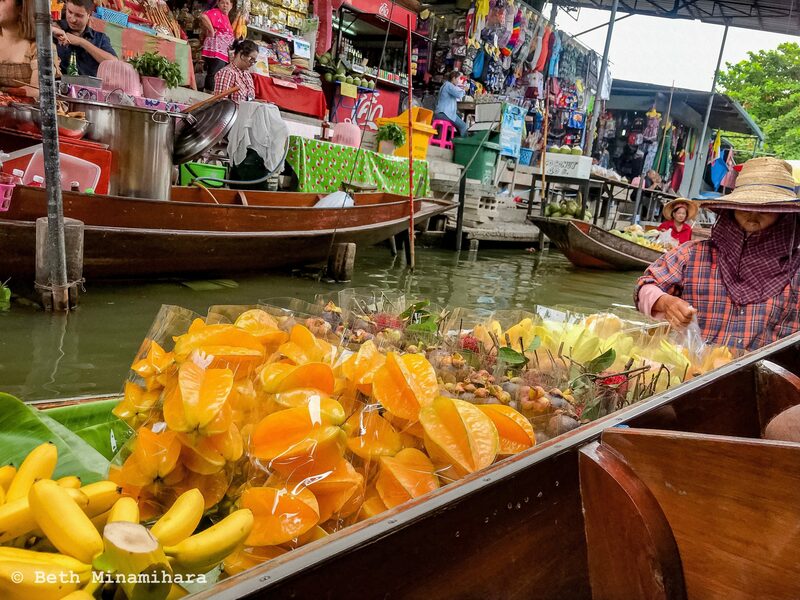 If you’re like me, going to this floating market with so many goods to choose from needs some tips before you leap into an indulgent shopping spree. 1. Overpriced goods. Please use your charm. 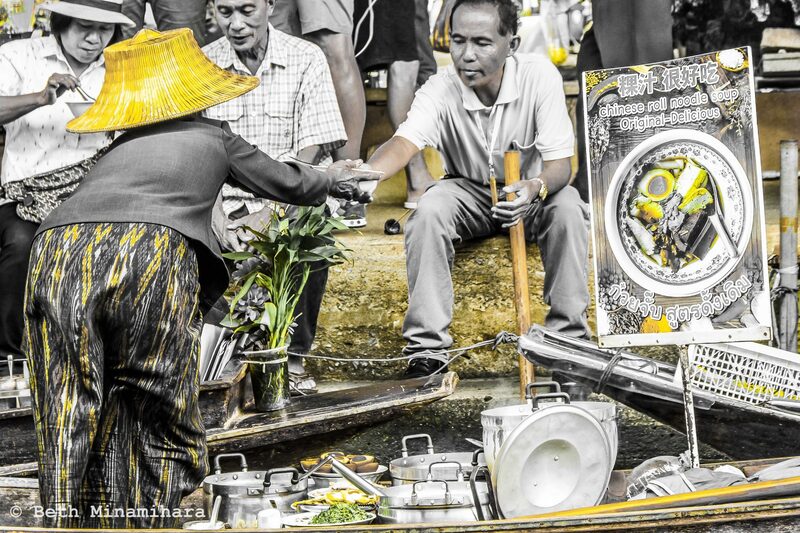 Haggle until they give in to your charm. My husband was surprisingly very good at it so we got my rattan bag and Tuk-tuk souvenir for half of the original price. The silk scarf as well. 2. It can get crowded that traffic congestion can get your hands or fingers crammed. 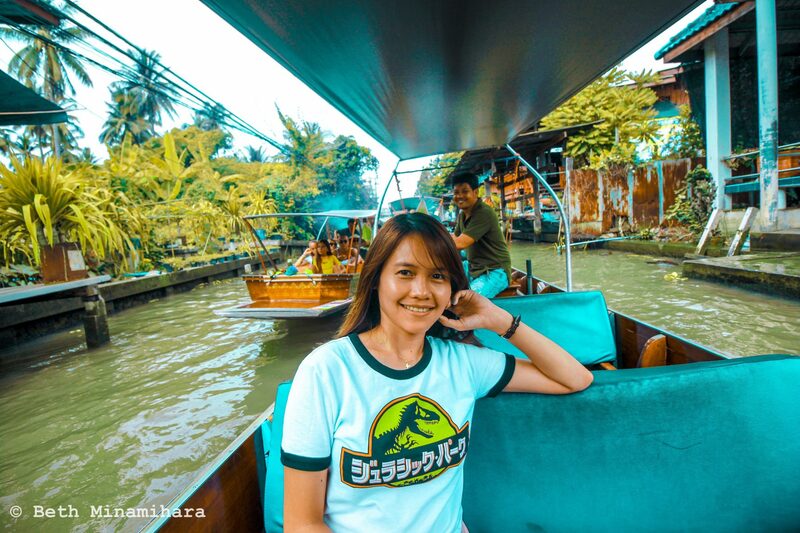 Be sure to put your hands inside the boat throughout the boat ride. 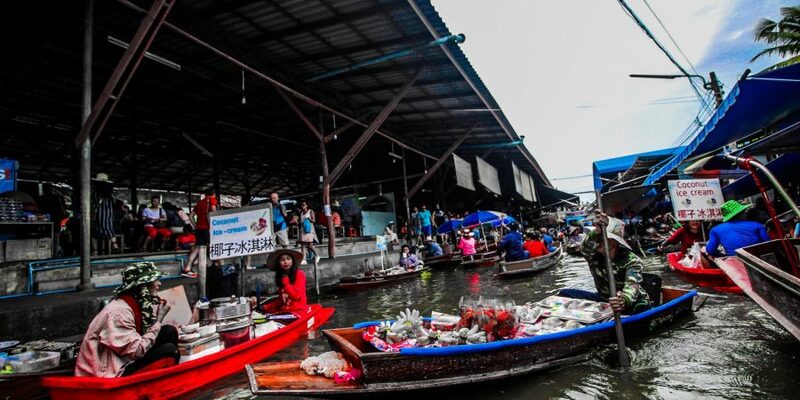 Fortunately, one of the vendors shouted at me in a good way when she noticed my hands were on the side of the boat. I didn’t realize it at first. I was actually wondering why and what was she said. I looked around. There’s almost no way to get out or row the boat. And I understood. 3. Don’t be fooled with the fees. At first 800 but my husband knew the trick. 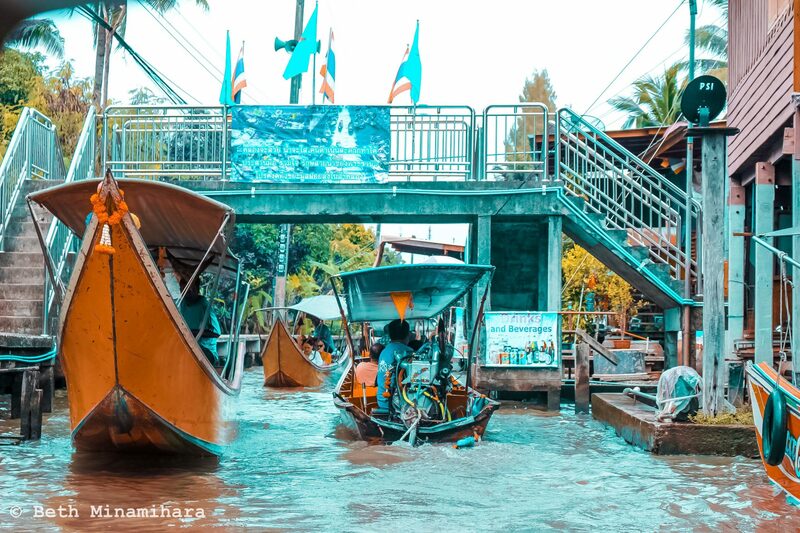 600 Baht for a 2 hour ride on a private motor boat which means just my husband and I along with the boat driver. 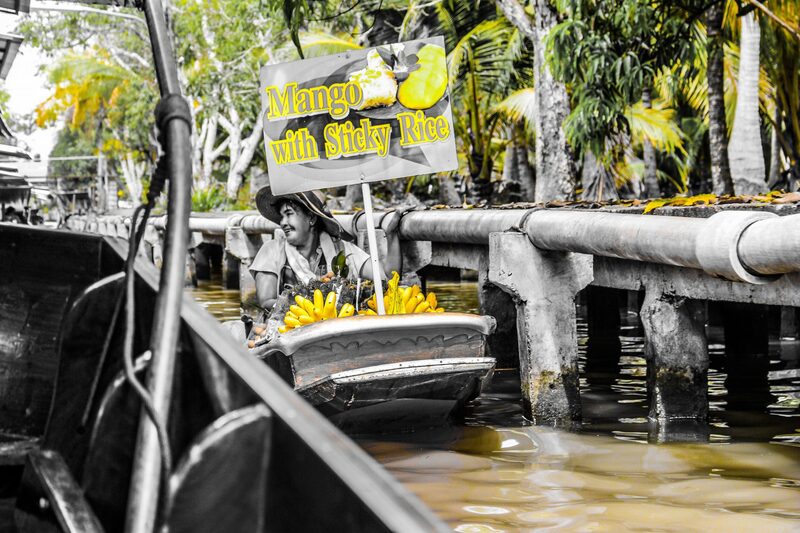 If you’re in for something exotic, this is the perfect place for you. Foods in variety are in this area. 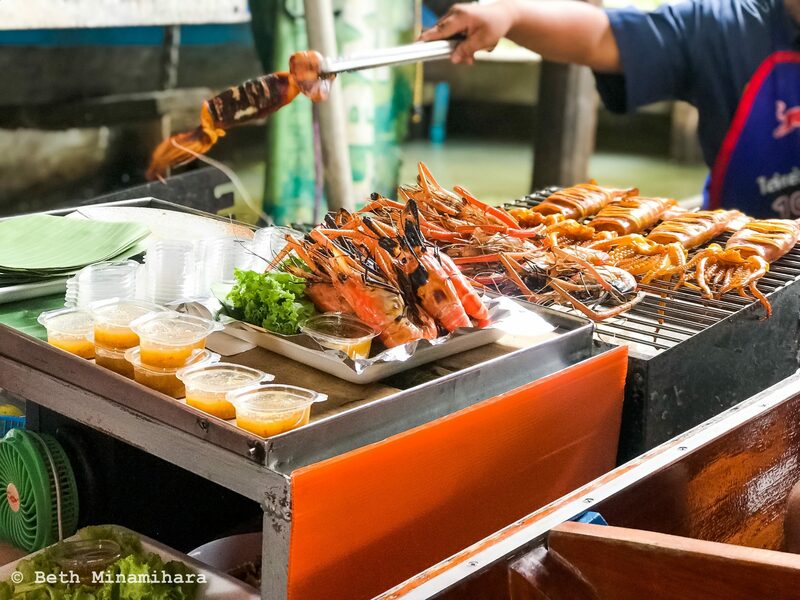 Familiar foods are sold as well so don’t worry if you’re not ready to eat something exotic. 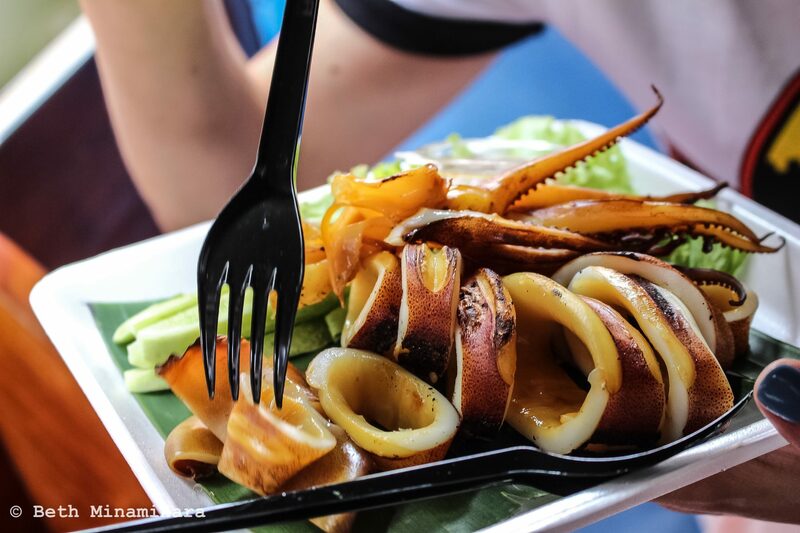 I had a grumpy stomach during our travel here so I bought roasted squid with vegetable salad. I also had soup which was a bit odd to me but I ate it. Houses and greenery greet you in every corner of the river. The water isn’t clear which isn’t a problem. It’s a river in the first place. There are plenty of local products to choose from. From silk to souvenirs. 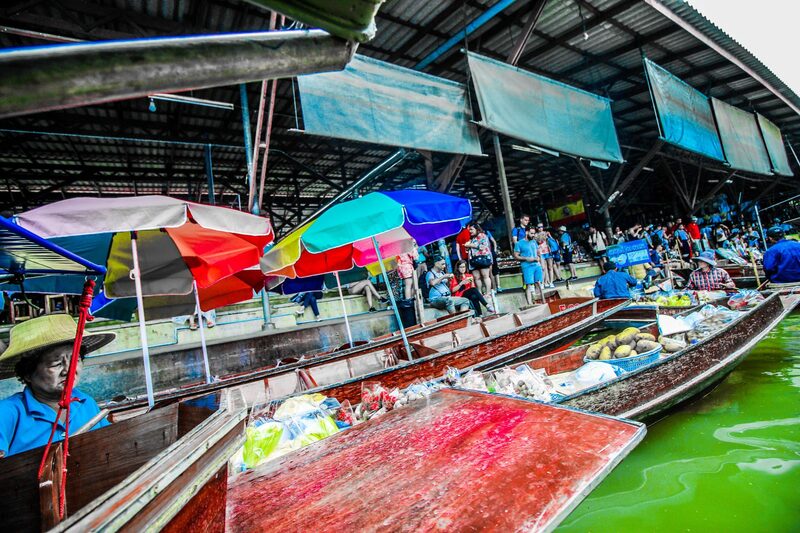 Vendors selling their crafts and other goods while paddling their wooden bancas gives you a glimpse of Thailand’s traditional way of livelihood. It’s nice knowing the preserved culture after all these years. Old vendors warm my heart. AVANI arranged a car with an English speaking driver to drive us there. 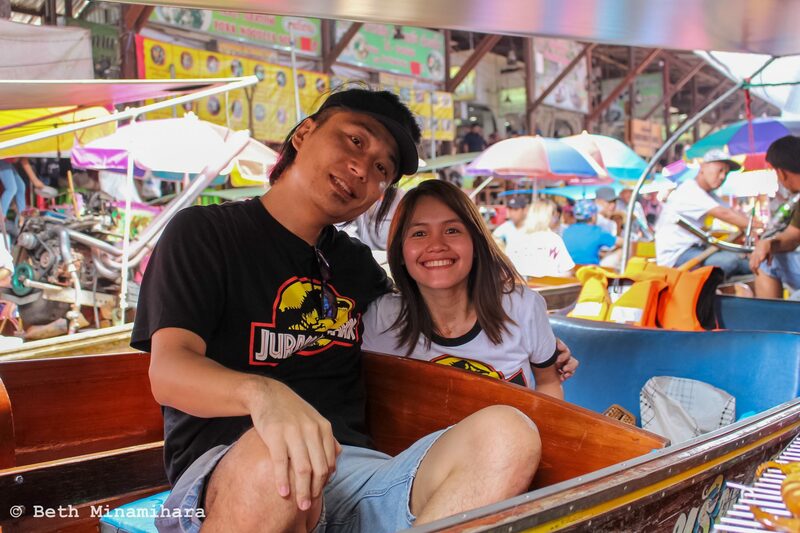 We paid about 2000 Baht inclusive of an eight hour ride to three to four sightseeing spots. That’s our personal experience. But they said you can take a bus or mini van. Check this site.